Optimise your breath for peak performance. Did you know that your physical and psychological wellness depends significantly upon how well you breathe? Deepens your natural breath and inspirers breathing through your nostrils and not your mouth. These are only some of the benefits. In addition to the physical benefits you will reap from developing correct breathing habits; willpower, self-discipline, confidence, clarity and consciousness evolution will also increase by understanding and practicing the vital skill of conscious breathing – the cornerstone of vibrant health! In this two-hour workshop, I will define, explore and guide you through key steps in the practice of yoga and meditation. With clear, open discussion and application, you will learn several techniques to understand and direct your mind toward mastery of conscious breathing. YATREN NADU has over 21 years’ experience in guiding yoga students in the discipline of yoga and meditation. 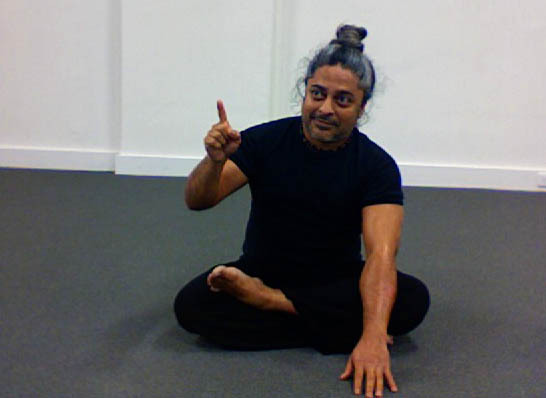 Yatren has worked successfully with yoga students from around the world, inspiring all with his unique style and approach to teaching and sharing the application of this ancient wisdom in today’s world. Yatren warmly welcomes you to the enlightening experience of living a more skilful life through the practice of yoga and meditation via his online classes. Online classes from home, from 5.30 am weekdays.